Planning a trip to Boston? New lunch menu coming soon! 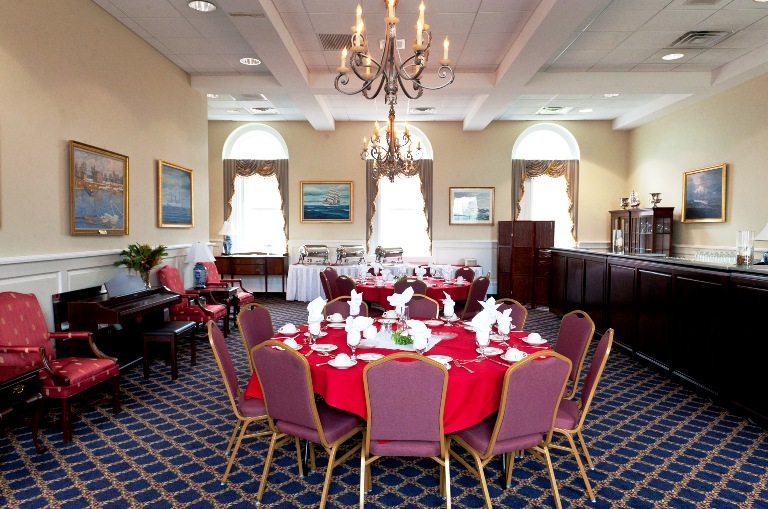 With more than 3,000 square feet of space – including a spacious outdoor patio overlooking the beautiful campus and scenic Thames River – the Officers’ /All Hands Club at the U.S. Coast Guard Academy offers high-quality catering services for weddings and other special events. 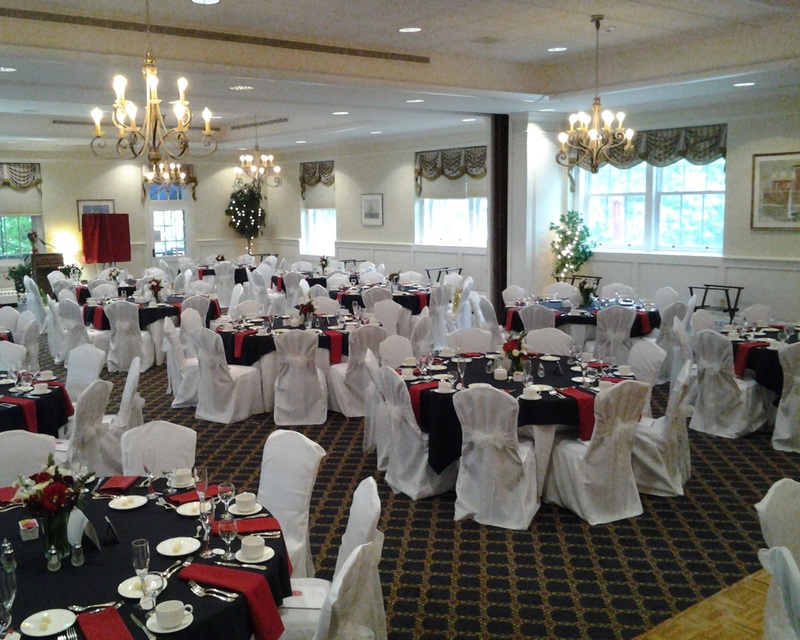 Lee Rail Lounge – located on our lower level, this room offers 1,000 square feet of space and an intimate setting for smaller groups. 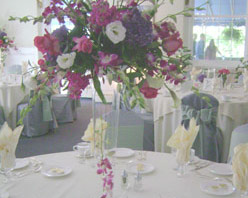 Main Dining Hall – fully equipped for any event, this space accommodates up to 250 guests for a sit-down meal or up to 320 guests at a standing reception. 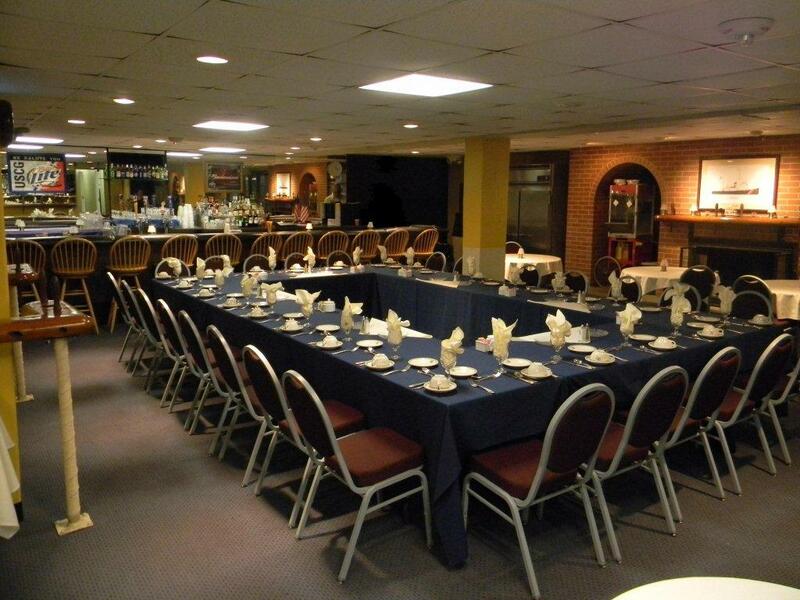 Alumni Room – adjacent to the Main Dining Hall, this room houses the bar for events in the Main Dining Hall or serves small meetings with 800 square feet of space. 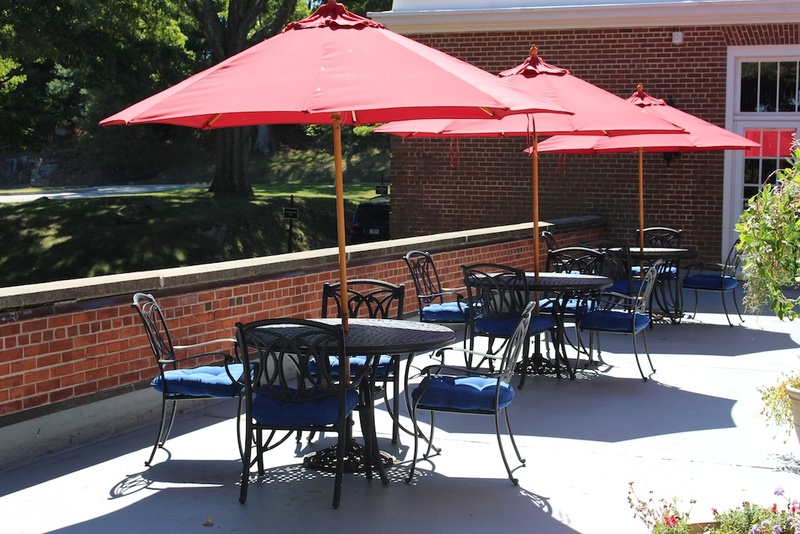 Patio – located off the Main Dining Hall, the spacious patio offers views of the campus and the Thames River and has a large covered area for use, weather permitting. employees, and cadets are eligible to use MWR facilities. Proper identification may be requested by staff. DISCLAIMER: Non-DHS & DOD links may be provided for mission support and as a community service. Their appearance does not constitute an endorsement by the CG, DHS, or USCGA. The USCGA MWR Office prohibits the resale of complimentary and/or discounted tickets. These offers are for your enjoyment and our way of thanking you for your service. Payment for tickets may be made via cash, VISA, or MasterCard. We are no longer able to accept personal checks. E-mail suggestions and comments to webmaster@cgamwr.com.